Cubao Expo is quite a treasure trove. 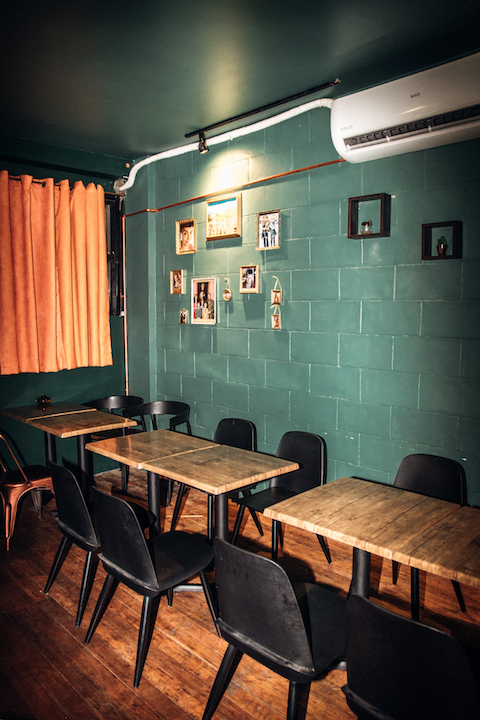 You’ve got second-hand shops, vintage stores, stores selling streetwear, shoes, then vinyl records, and then restaurants, and a coffee shop, and on and on and on. There’s no cohesive theme to it—not really—and that’s part of the grit and charm of the place. So to see a photo booth just pop up around the area? Not quite out of place at all, right? Behind the bright red curtain of the photo booth lies a moody little speakeasy by the name of Int. Bar. Take your photos (in black and white) up front, then push the door to get to the bar. Owned by four Cubao Expo “regulars,” Int. Bar is an amalgamation of all their interests. Named after classic films, Int.’s signature cocktails were crafted with characters, scenes, moods, or even entire plots in mind. 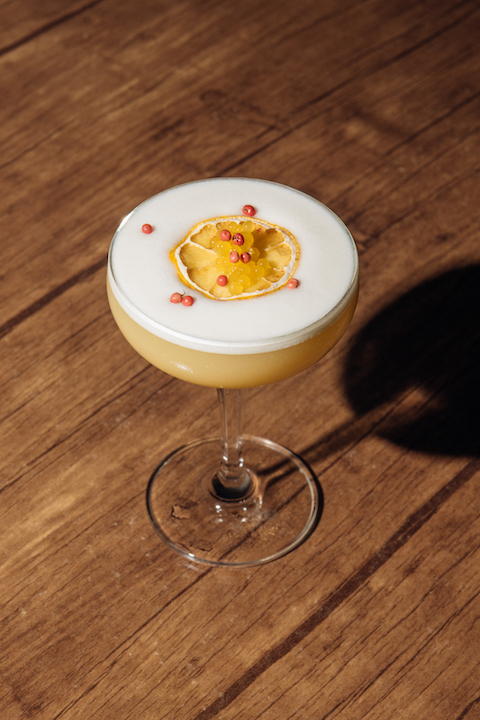 La Dolce Vita, named after the 1960 Italian film, has blanco tequila as its base, mixed with absinthe, lemon, orange, agave nectar, egg white, and topped with mango caviar. While it’s a pretty little thing, it’s also quite a strong drink. The Farewell My Concubine, on the other hand, is a milder option (only a two on Int.’s strength scale). 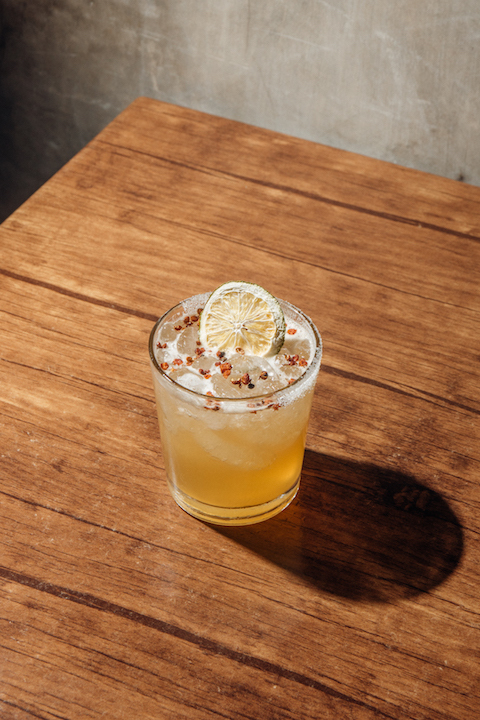 Named after the 1993 Chinese drama film, the aromatic drink has apricot liqueur, lime, and Szechuan peppercorn gin infusion. 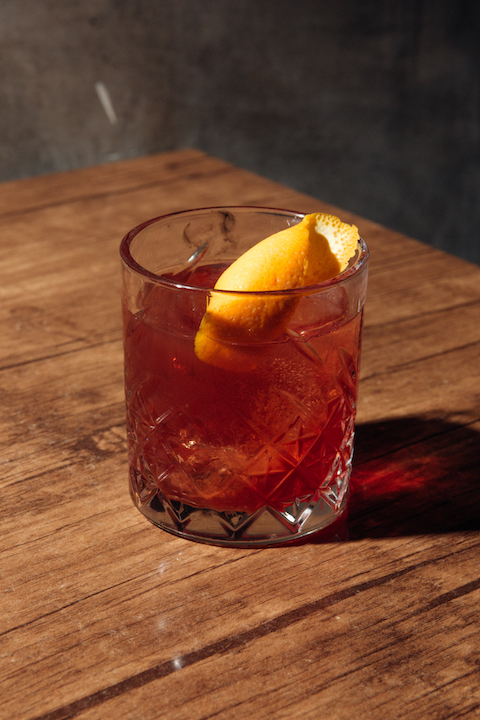 With the salt dusted on the side of the glass, it all melds into a lightly savory-salty drink. Much like the eventful, if not tumultuous, lives of the characters. 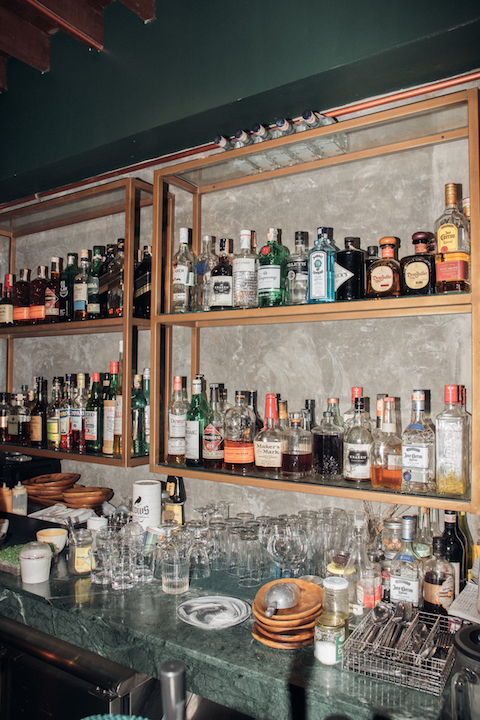 Writers would know this: “Write drunk, edit sober.” The quote is often attributed to Ernest Hemingway (although there’s little proof he actually said or wrote this phrase) perhaps because he was also known to be fond of bars and drinking. Int.’s A Toast To Hemingway captures this quite well. 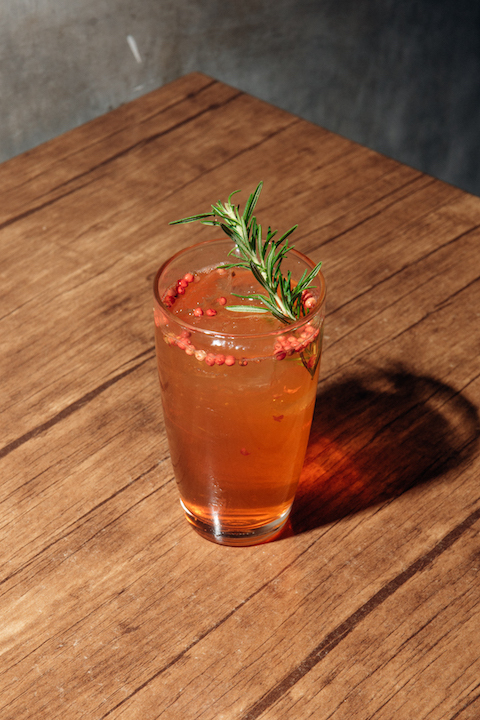 The cocktail has lemon peel gin infusion, angostura bitters, quinine bitters, rosemary, pink peppercorns, and tonic water, mixed to create what I’d like to call a deceptive drink—it ranks low on the strength scale, which might prompt you to get more glasses than you should. Aside from cocktails, Int. also serves up bar chow for guests to munch on as they enjoy their cocktails. Their take on hummus uses roasted sesame and garlic confit instead of chickpeas, and is served with dehydrated tortillas instead of pita. 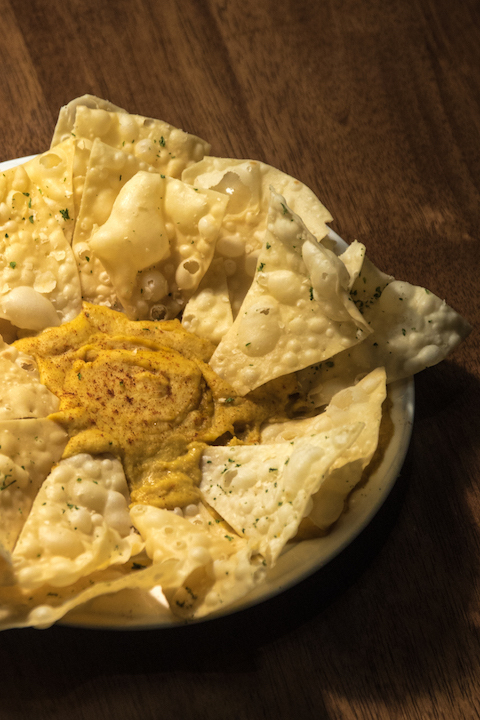 For groups, sharable snacks like the fully loaded nachos are also available. 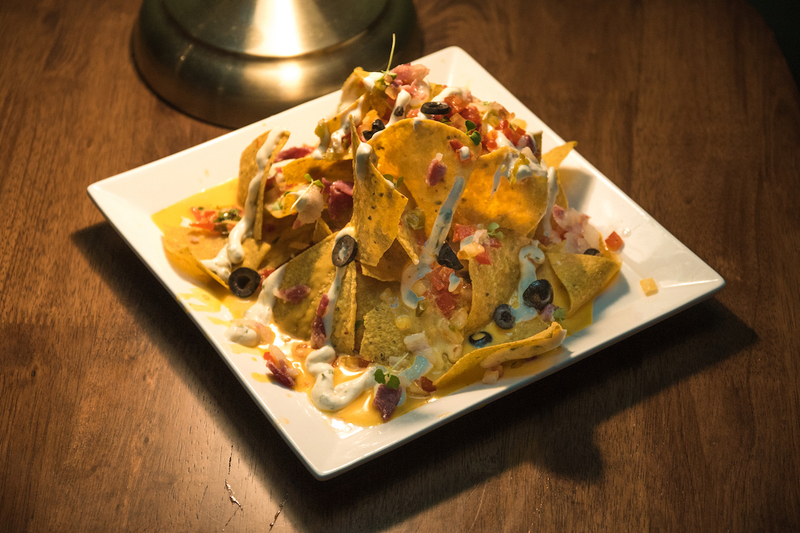 The nachos are topped with staples like pico de gallo and jalapeños, as well as mornay sauce, lime-cilantro crema for a bit of an acidic kick, and bacon. For something more filling, the trio tacos makes for a more satisfying side. 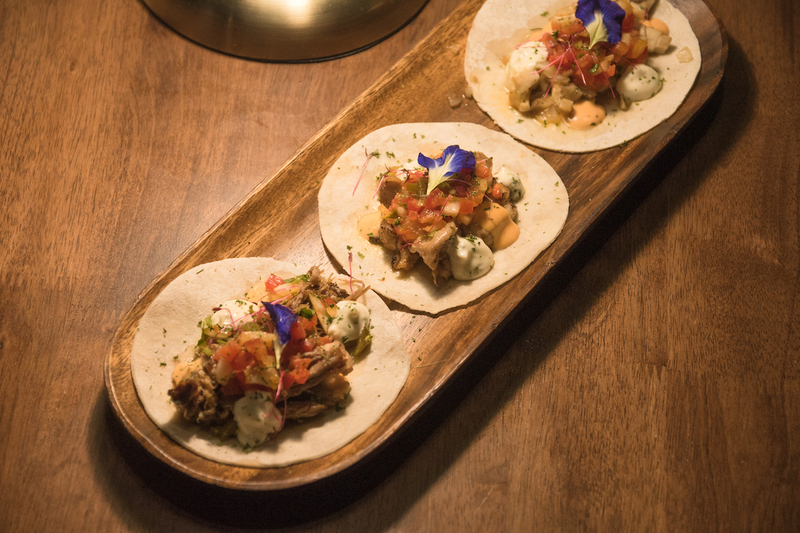 An order comes with three tacos, each one topped with a different type of meat: pulled pork, roasted chicken, and mushrooms. All come with pico de gallo, roasted bell peppers, Sriracha, and lime-cilantro crema, making each bite one that’s bursting with flavors. It’s also a savory way to refresh your palate if you—like us—have had one too many drinks already. Go for the interesting selection of cocktails named after classic films. Pair them with the trio tacos, which are topped with mushrooms, pulled pork, and roasted chicken.